Le nom de Louis Armstrong évoque aujourd’hui, pour plusieurs générations, l’image d’un père Noël hilare qui chanterait Hello Dolly devant des foules conquises. Pour qui aime la Musique majuscule, Armstrong est bien plus que cela. Il est le premier grand soliste de jazz, celui qui a fait exploser cette musique, bien au-delà des frontières de son pays d’origine. Dizzy Gillespie : « Louis, c’est la cause du jazz incarnée, le créateur de notre langage à la trompette. » Pour Jean Cocteau, c’est l’ange de Jéricho, et pour Philippe Soupault « la voix qui unit le ciel et l’enfer, qui abolit l’espace et le temps ». Le temps que retient le disque, mémoire complice du jazz. Des disques, Armstrong en grava des centaines, de 1923, auprès de son maître King Oliver, jusqu’à 1971, quelques mois avant sa mort. 1.West end Blues03:19 (Joe Oliver) Louis Armstrong and His Hot Five : Louis Armstrong (tp, voc), Fred Robinson (tb), Jimmy Strong (cl, ts), Earl Hines (p, celeste, voc), Mancy Carr (bj, voc), Zutty Singleton (d). 2.Monday Date03:14 (Earl Hines, S. Robin) Louis Armstrong and His Hot Five : Louis Armstrong (tp, voc), Fred Robinson (tb), Jimmy Strong (cl, ts), Earl Hines (p, celeste, voc), Mancy Carr (bj, voc), Zutty Singleton (d). 3.Basin Street Blues03:22 (S. Williams) Louis Armstrong and His Orchestra: same as 1. 4.Weather Bird (Rag)02:46 (Louis Armstrong) Duo : Louis Armstrong (tp) - Earl Hines (p). 5.St James Infirmary03:23 (Joe Primrose) Louis Armstrong and His Savoy Ballroom Five: Louis Armstrong (tp, voc), Fred Robinson (tb), Don Redman (cl, as), Jimmy Strong (cl, ts), Earl Hines (p), Mancy Carr (bj), Zutty Singleton (d). 6.Don't Jive Me02:49 (Louis Armstrong) Louis Armstrong and His Hot Five : Louis Armstrong (tp, voc), Fred Robinson (tb), Jimmy Strong (cl, ts), Earl Hines (p, celeste, voc), Mancy Carr (bj, voc), Zutty Singleton (d). 7.Sugar Foot Strut03:22 (B. Pierce/C. Schwab/H. Myers) Louis Armstrong and His Hot Five : Louis Armstrong (tp, voc), Fred Robinson (tb), Jimmy Strong (cl, ts), Earl Hines (p, celeste, voc), Mancy Carr (bj, voc), Zutty Singleton (d). 8.No (No, Papa, No)02:58 (V. Spivey) Louis Armstrong and His Orchestra: same as 1. 9.Knee Drops03:27 (L. Hardin) Louis Armstrong and His Hot Five : Louis Armstrong (tp, voc), Fred Robinson (tb), Jimmy Strong (cl, ts), Earl Hines (p, celeste, voc), Mancy Carr (bj, voc), Zutty Singleton (d). 10.Heah Me Talkin' To Ya ?03:28 (L. Armstrong/D. Redman) Louis Armstrong and His Savoy Ballroom Five: Louis Armstrong (tp, voc), Fred Robinson (tb), Don Redman (cl, as), Jimmy Strong (cl, ts), Earl Hines (p), Mancy Carr (bj), Zutty Singleton (d). 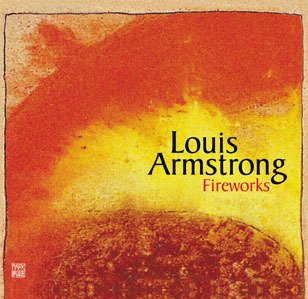 11.Fireworks03:07 (S. Williams) Louis Armstrong and His Hot Five : Louis Armstrong (tp, voc), Fred Robinson (tb), Jimmy Strong (cl, ts), Earl Hines (p, celeste, voc), Mancy Carr (bj, voc), Zutty Singleton (d). 12.Muggles02:53 (Louis Armstrong) Louis Armstrong and His Orchestra: same as 1. 13.Skip the Gutter03:09 (S. Williams) Louis Armstrong and His Hot Five : Louis Armstrong (tp, voc), Fred Robinson (tb), Jimmy Strong (cl, ts), Earl Hines (p, celeste, voc), Mancy Carr (bj, voc), Zutty Singleton (d). 14.Two Deuces02:57 (L. Hardin) Louis Armstrong and His Hot Five : Louis Armstrong (tp, voc), Fred Robinson (tb), Jimmy Strong (cl, ts), Earl Hines (p, celeste, voc), Mancy Carr (bj, voc), Zutty Singleton (d). 15.Symphonic Raps03:14 (B. Steven/I. Abrams) Carroll Dickerson's Savoyagers : Carroll Dickerson (violin, lead), Louis Armstrong, Homer Hobson (tp), Fred Robinson (tb), Bert Curry, Crawford Wethington (as), Jimmy Strong (cl, ts), Earl Hines (p), Mancy Carr (bj), Pete Briggs (tuba), Zutty Singleton (d). 16.Savoyager's Stomp03:06 (Louis Armstrong/Earl Hines) Carroll Dickerson's Savoyagers : Carroll Dickerson (violin, lead), Louis Armstrong, Homer Hobson (tp), Fred Robinson (tb), Bert Curry, Crawford Wethington (as), Jimmy Strong (cl, ts), Earl Hines (p), Mancy Carr (bj), Pete Briggs (tuba), Zutty Singleton (d). 17.Squeeze Me03:24 (Fats Waller/S. Williams) Louis Armstrong and His Hot Five : Louis Armstrong (tp, voc), Fred Robinson (tb), Jimmy Strong (cl, ts), Earl Hines (p, celeste, voc), Mancy Carr (bj, voc), Zutty Singleton (d). 18.Beau Koo Jack03:05 (A. Hill/L. Armstrong) Louis Armstrong and His Savoy Ballroom Five: Louis Armstrong (tp, voc), Fred Robinson (tb), Don Redman (cl, as), Jimmy Strong (cl, ts), Earl Hines (p), Dave Wilborn(bj), Zutty Singleton (d). 19.No-One Else But You03:28 (Don Redman) Louis Armstrong and His Savoy Ballroom Five: Louis Armstrong (tp, voc), Fred Robinson (tb), Don Redman (cl, as), Jimmy Strong (cl, ts), Earl Hines (p), Dave Wilborn(bj), Zutty Singleton (d). 20.Save It, Pretty Mama03:25 (Don Redman) Louis Armstrong and His Savoy Ballroom Five: Louis Armstrong (tp, voc), Fred Robinson (tb), Don Redman (cl, as), Jimmy Strong (cl, ts), Earl Hines (p), Dave Wilborn(bj), Zutty Singleton (d). 21.Tight Like this03:21 (A. Curl) Louis Armstrong and His Savoy Ballroom Five: Louis Armstrong (tp, voc), Fred Robinson (tb), Don Redman (cl, as), Jimmy Strong (cl, ts), Earl Hines (p), Mancy Carr (bj), Zutty Singleton (d).